I was in Melbourne last weekend for a wedding and I couldn’t helP stickybeaking at the local Domain. I find Melbourne property fascinating. Why does the architecture look so unmistakably foreign to Sydney? I rubberneck my way through every car trip. What the real estate agent says: “This once undeniably grand and gracious homestead, now in need of total restoration, and with outstanding future use potential. 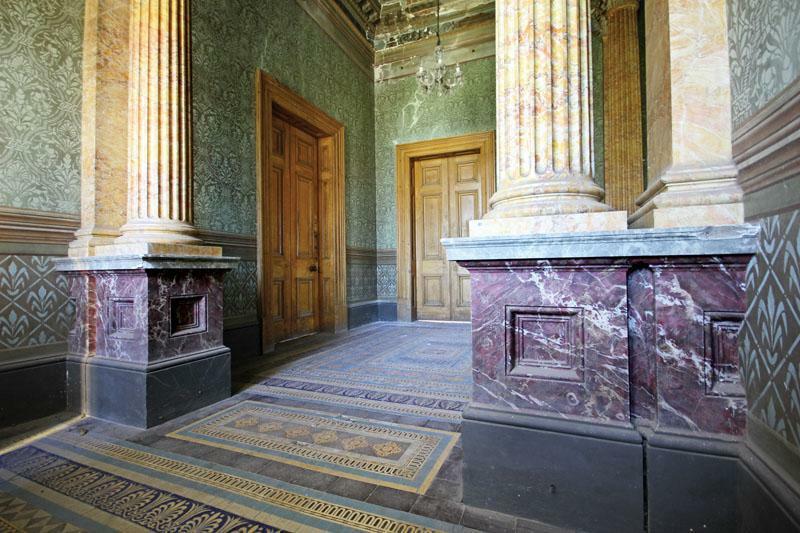 “The signature Italianate mansion includes an iconic tower from which the Melbourne CBD skyline can be viewed, a grand entrance hall and main staircase, 10 principal rooms, billiards room, 5 other rooms, and cellar. There is also a small charming brick stable and workshop building. “The original renaissance inspired interior decor was exquisite and of great significance, with finely painted themes of the arts, flowers, birds, farming and nautical, and excellence in the arts of stenciling and marbling. 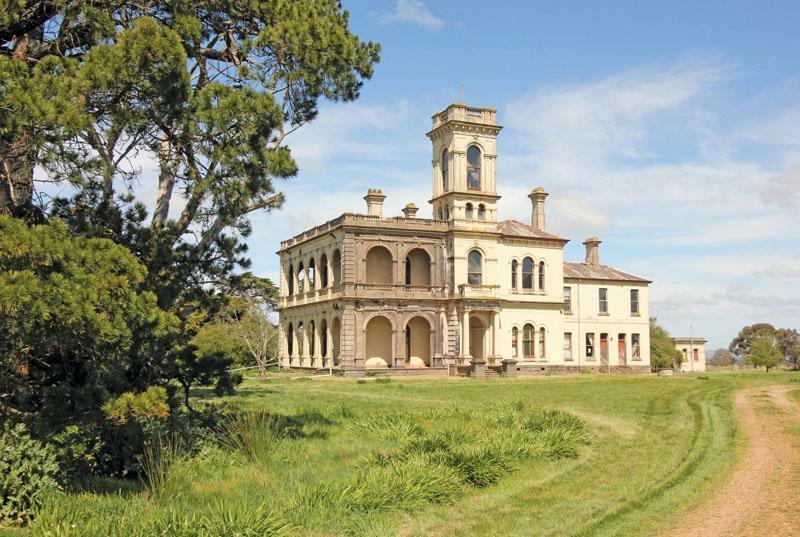 What I say: OK, so it’s a few million out of my price range, with a reserve of $3million (plus another $2mill, easy, to renovate) but oh, my giddy aunt. It’s incredible. Can’t you imagine yourself togged up like Lady Mary, sashaying through the halls being posh? 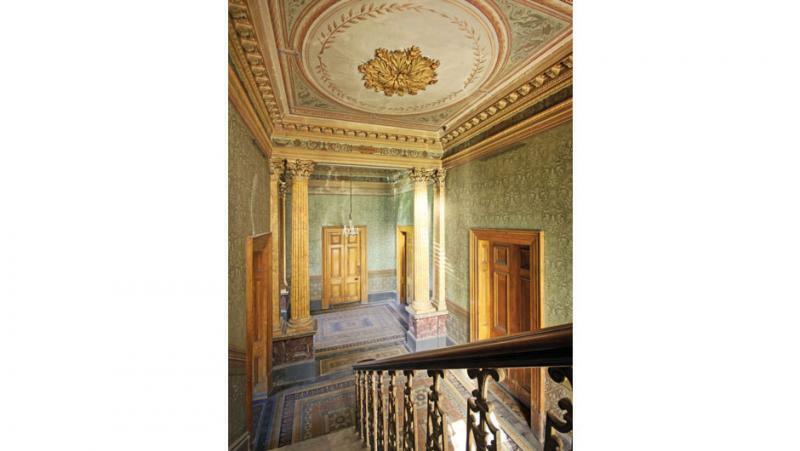 It’s a bit of a worry how they only show bits of cornice and pillars and stuff in the photos – doesn’t auger well for the kitchen and bathrooms – but someone rich and bored could have a fabulous time fixing those. Oh wow. That would be incredible!! I’d freak out if I ever had to stay it in it overnight alone though. I guess you’re never truly alone, however, when there’s the cook, the butler, the maid…. True, now that I think about it, I’m more of a cosy girl. And the only people I want to share my house with these days are my family.